Happiness is the greatest gift that any employee can possess. But, with increasing competition in industry, as well as tighter regulations, as an employer, you can feel the pinch in so many ways. We all know the devastating impact of a sour workplace atmosphere, it leads to lots of whispers, and the rumor mill inevitably builds up. In addition to this, your business could be going through a tough time, which is why you need to ensure that your employees are happy, healthy, and have an attitude to work that is productive but also contributes to a positive workplace culture. What can you do to make sure that your employees stay on the right side of the tracks in this respect? It’s often discussed, the benefits of transparency and communication. Clarity, in every aspect, makes for a happier workplace. From how you deal with your employees on a personal level, all the way through to simplifying complex jargon that turns up in employee contracts. In fact, contract drafting is a fine art, and while you need to remain firmly on the legal side, when stating your intent with your employees, especially if you are working with them in a freelance capacity, it’s important to ensure that everything is as transparent as possible on paper. There are infinite resources relating to this, and drafting attorney Andrew Weisblatt and his explanation of contract drafting is one of the many professional resources you can go to. The contract, as well as the communication, needs to be clear. Once you get into this frame of mind, it’s very difficult to back pedal. As a leader, your enjoyment of bossing people around begins to take center stage, and the great divide presents itself. Instead, look to moving forward as a team. Don’t view them as just workers who are there to do your bidding. This is a sure-fire way for them to jump ship, so, work at congealing your relationships. This can be done, not just by an open door policy, but also, by focusing on more prominent values. From the work-life balance to the most basic of perks, they all add up to a happier environment. You can be so preoccupied with the business side of things, that you can completely avoid the overall human impact. You might find yourself calculating how much money you’ve wasted in a particular day due to downtime, but this isn’t healthy. Remember, lead by example, and if you are a stressed out person, this ill feeling will easily transfer to your employees. Instead, take a step back, assess the situation, but also, work at making yourself a better person. Relaxation, mindfulness or anything that makes you feel rejuvenated is a major asset to the company. We don’t have to walk around with smiles fixed onto our faces, but if there are very obvious reasons why morale is low, or productivity is down, you should work hard at happiness. Content workers can complete tasks better. And you may have a pool of talented employees, but if they aren’t working their best, the onus is on you to fix this, not to place blame on them. Let’s be clear from the start, running a business is not a career choice that’s a good fit for everyone. In order to launch a highly successful business, it’s crucial that you are someone who is suited to running a business, someone who has a passion for success and who has the work ethic required to run a highly successful business. The key to success in the business sector is choosing to run a business in an area that interests you. If you start a business in an area that is not of interest to you, you will find that it’s very difficult to make a success of it. That’s why it’s so important to ensure that construction is an area that you feel passionate enough about to build a successful business in. When you launch a business, you don’t picture your business simply surviving, do you? You see your venture thriving, right? That’s why it’s so essential that you understand what steps you need to take to launch and run a highly successful construction business. To help you get started in the industry, below are some useful tips and pieces of advice to have a read, take note of, and implement in how you run your business. When funds are tight, which is often the way with small businesses, it’s easy to make the mistake of thinking that you can go it completely alone and run your business solo, when that isn’t the case. If you want to give your startup the very best chance of success, you need to be willing to take on a team of skilled workers who can help you to grow your business. It doesn’t have to be a large team, just enough people to make your workload manageable. For any tasks that you don’t require someone for 24/7, consider outsourcing and working with freelancers. As a business owner, you should be a leader. Of course, not everyone is a natural-born leader, which is why it makes sense to spend some time mastering your leadership skills. Not sure how to be a leader, spend some time reading up about what it takes to be an amazing business leader. You don’t want to be the kind of leader that no one likes because they’re rude and unsupportive of their team members. You want to be the kind of leader that your team members look up to and respect. Treat your team with care and respect and they will do the same for you. A key aspect of business success is having an effective business plan in place. If you want to build a business that has the potential to be highly successful, you need to have a well thought out business plan in place. This should detail every aspect of your business, from your goals and targets to the materials and equipment that you will need to buy to start off. 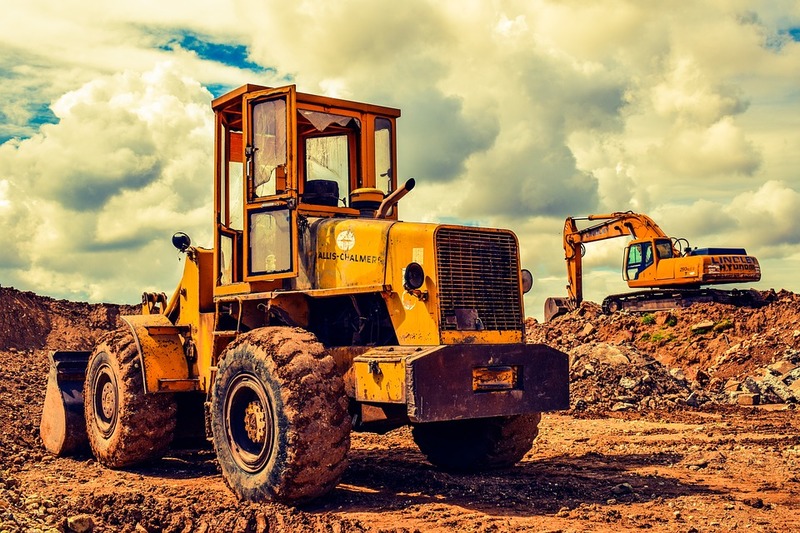 When it comes to your business equipment, there is a lot that you will need to buy or rent, from service trucks which you can click here to browse, to building tools, there is a lot that you will need to invest in. If you can’t afford to cover all of the costs that come with launching your business, you might want to consider taking out a business loan to help. You could build the most amazing business but if no one knows it exists then you have a very limited chance of success. That’s why marketing your business properly is so important – if you want to ensure that people within the local community know that your business exists, you need to market it properly. Those are a few simple tips that should help you to start a successful construction business. Of course, there’s a lot more to learn but all the extra knowledge that you need will come with time.